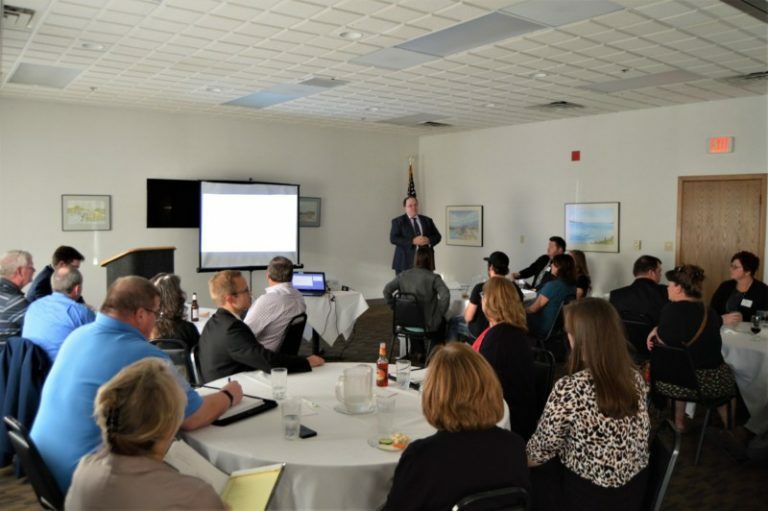 BARAGA – On Wednesday, October 18, the Baraga County Economic Development Corporation (BCEDC) hosted a kick-off event at the Baraga Lakeside Inn to celebrate its restart as an economic development corporation. The kick-off was complete with food, networking, as well as presentations from the BCEDC Board of Directors, County Staff, and Amy Clickner, CEO of the Lake Superior Community Partnership. The Baraga County EDC was founded to support the start-up, retention, and expansion of businesses, create jobs, attract capital investments, strengthen the community, and improve the quality of life in Baraga County. At the kick-off event, presenters discussed challenges, opportunities, and strategies for achieving economic growth in Baraga County. For additional information and investment opportunities, contact the Baraga County EDC at 906.524.6100, bcedc@up.net, or by visiting www.baragacounty.org/edc.